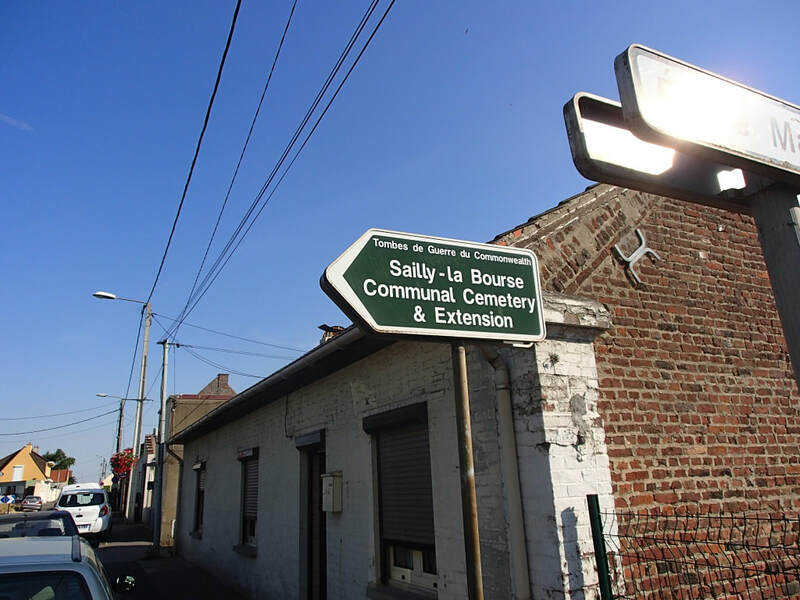 Sailly-Labourse is a village five kilometeres south-east of Bethune on the main road to Lens (N43). 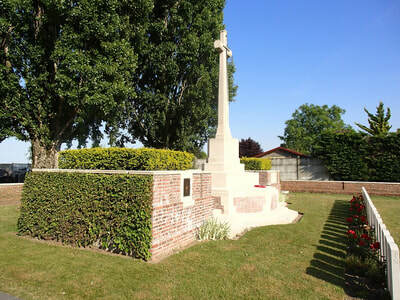 A CWGC signpost can be seen on this road. 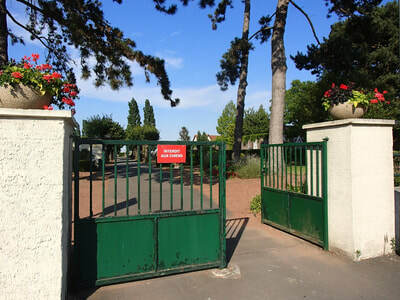 Sailly-Labourse Communal Cemetery and Extension is located on the D943 to the south of the village. The village of Sailly-Labourse was used for rest billets and by field ambulances for much of the First World War. 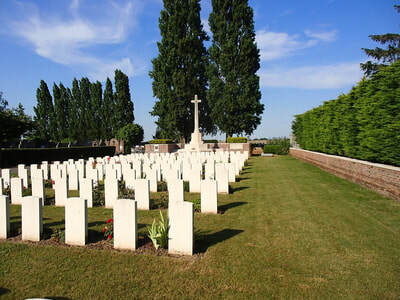 It was close to the battlefield of Loos, but from October 1915 to September 1918, no considerable advance or retirement took place in this sector. 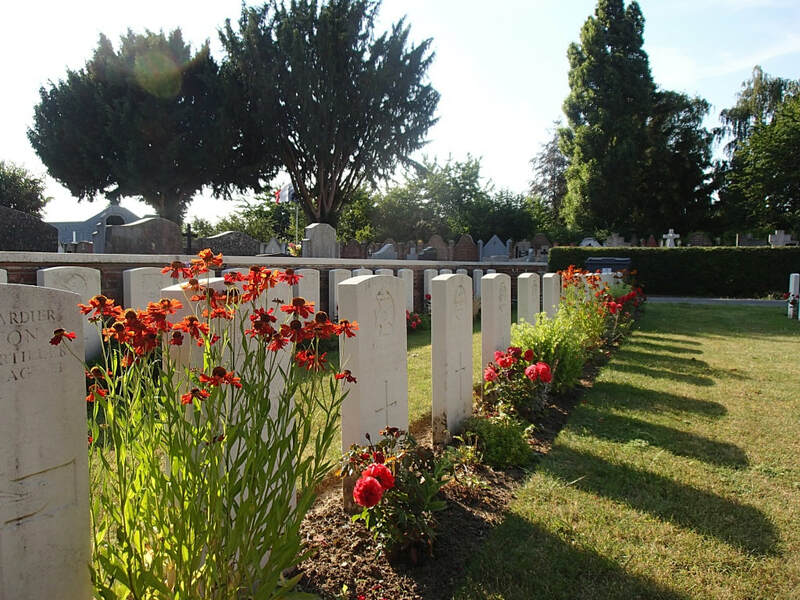 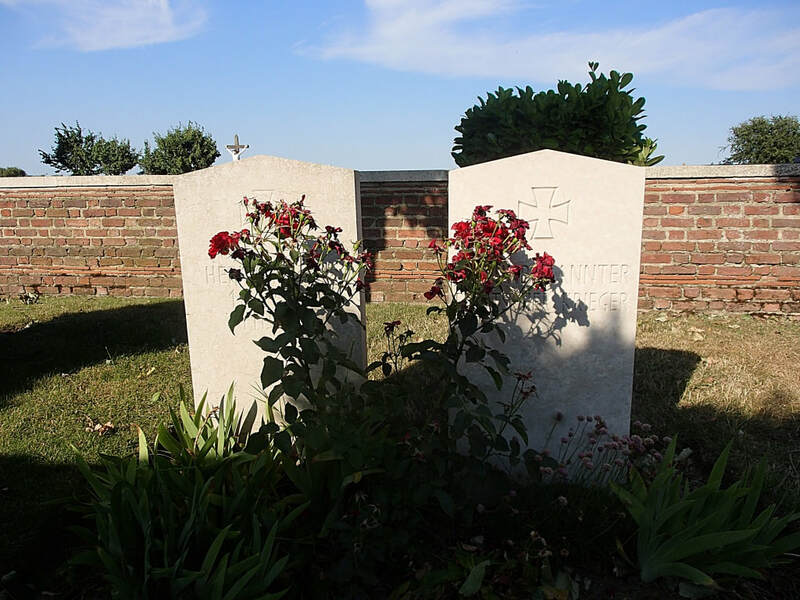 SAILLY-LABOURSE COMMUNAL CEMETERY contains 126 Commonwealth burials of the First World War. 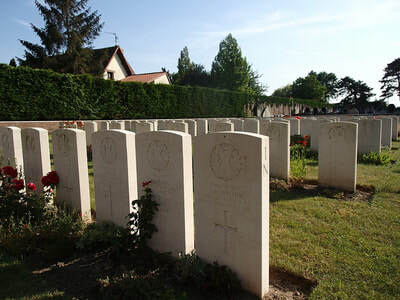 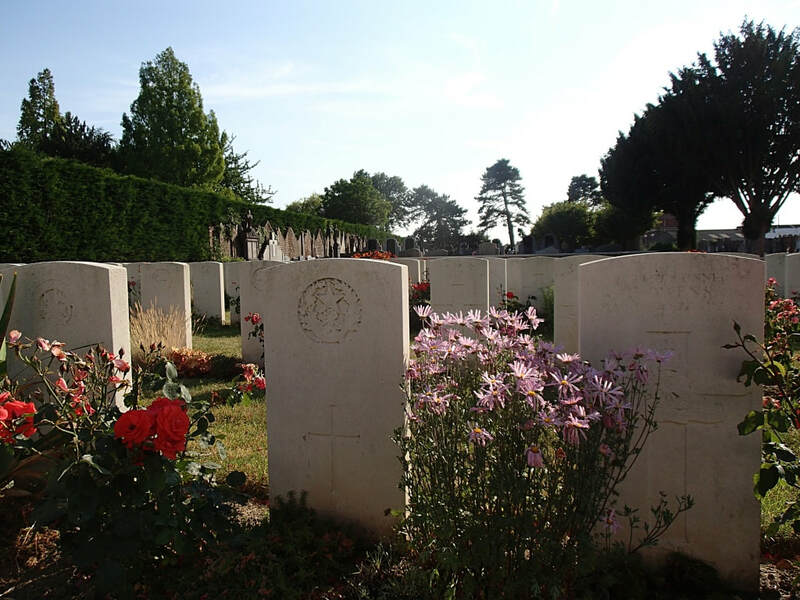 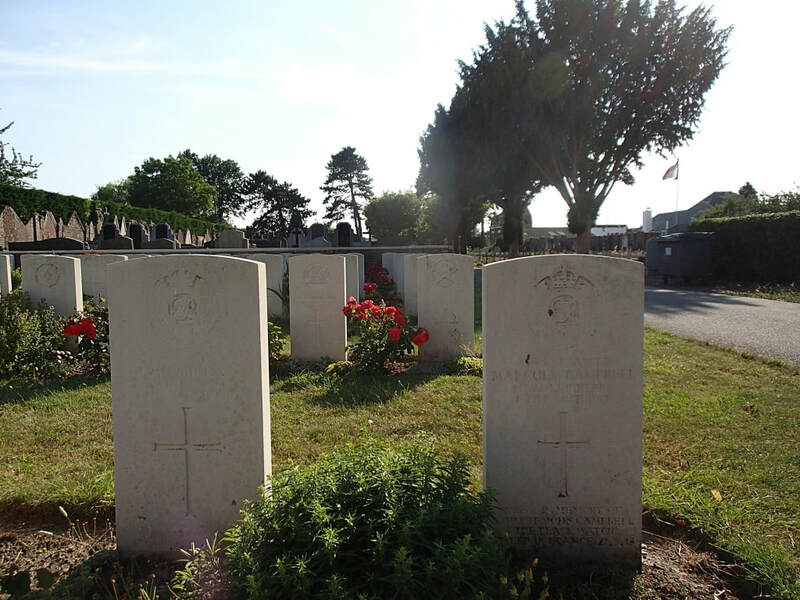 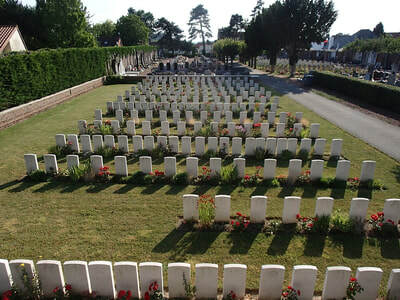 Rows B to G and parts of H, J, O, P, Q and R contain French graves of 1914-15, and Rows H to R contain Commonwealth graves from August 1915 to April 1917. One Second World War airman is also buried in the cemetery. 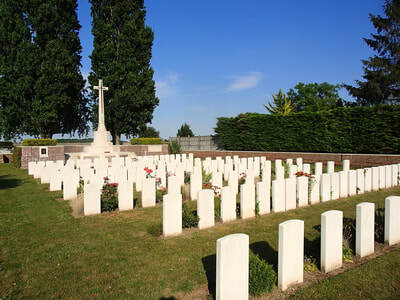 The adjoining EXTENSION, begun by the 2/8th Manchesters in May 1917 and used until October 1918, contains 215 Commonwealth and two German burials. 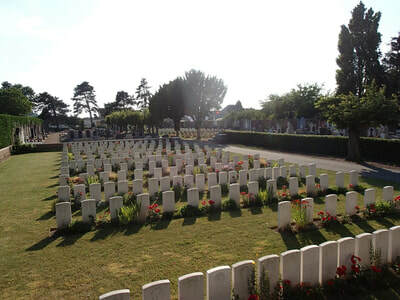 Casualty Details: UK 210, Australia 3, South Africa 2, Germany 2, Total Burials: 217.